They always say that “the way to a man’s heart is through his stomach!” Well, we’re not sure if that’s the only way to get a man, but we definitely think you’re on the highway to love if you can serve your guy his favorite dish! 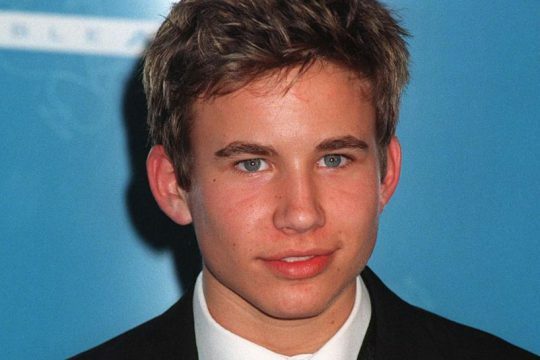 Soooo, imagine this for a sec: Jonathan Taylor Thomas is spending the day at your house. Would you know exactly what to give him to make his tummy happy? Have no fear, Chef Tutti is here! Breakfast is the most important meal of the day. (Well, that’s what Mr. Goodbody sez!) Anyway, what does JTT like to start off his morning with? Last time we spoke to the cutie, he had just returned from The Lion King premiere in London, England. “I’m still in the English spirit, so I like to have a crumpet-type thing,” Jon said. “It’s pretty good, I just have that on the way in [to the set ].” Also, Jonathan likes to drink an occasional protein shake in the a.m. to get him going. Sometimes, if he decides to have an English muffin, he sez it tastes super-good if he sprinkles on some cinnamon sugar. “But I like ’em with jelly, also.” he added. 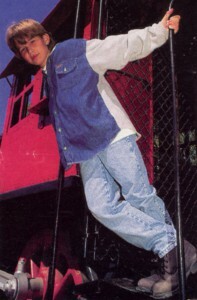 Jonathan Taylor Thomas on steam locomotive. Scan from Tutti Frutti magazine 1995. For lunch, Jon could go for one of many things. Keep in mind that he’s a vegetarian! Co-star Zach Ty Bryan said the grossest thing he’s ever seen JTT eat is a garden burger! But then again, that’s coming from a guy who has big juicy hamburgers for lunch and likes to tease Jon while he eats them! We’ve personally seen Jonathan eat a veggie pizza at Planet Hollywood. The blue-eyed guy also loves salads and pastas! chicken, pasta is usually the”A-No. I” dinner for this guy! “I loooove pasta! Pesto pasta, spinach with lemon pasta, angel hair pasta, homemade ravioli, I love all pasta!” Ya dig? The way to a man’s heart is through his stomach. True or false? We gave ya the info, so the next time Jonathan decides to pop over for a visit, you decide! Ssshhhh! 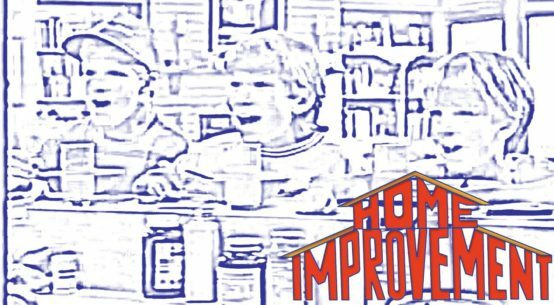 Take a Peek at Jon’s New Movie! Extra! Extra! Read all about it! 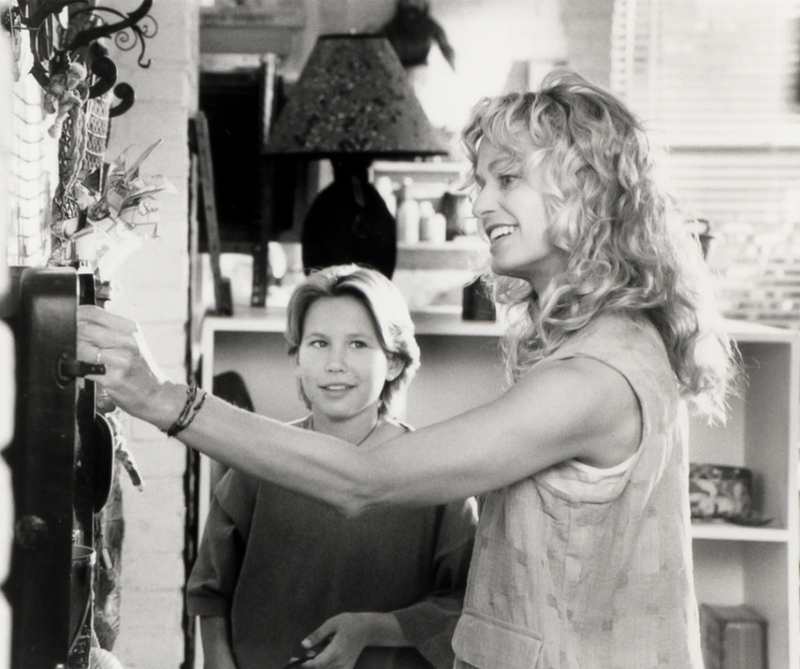 It’s Jonathan Taylor Thomas’ first movie, and we’re about to give you a sneak peak! 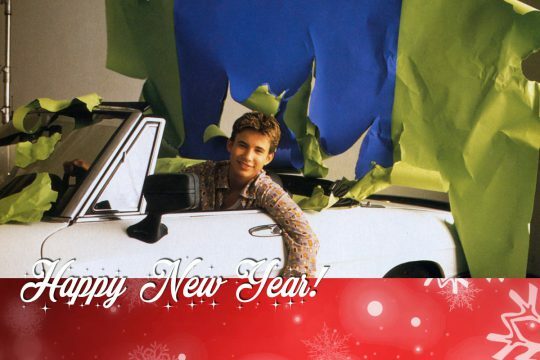 Jonathan Taylor Thomas in Man of the House – Tutti Magazine scan 1995.
was workin’ his little heart out up in Canada. He was filming his very first film with one of the biggest-named actors in Hollywood! Jon got to spend a couple of months side by side with funnyman Chevy Chase! 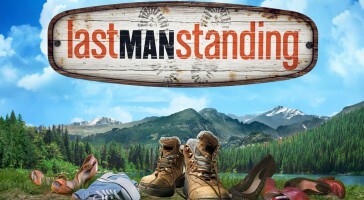 The movie was originally titled man 2 man, but has since changed. We just got word that the new name is The Man on of The House, and it will be released around the third week in February! Ya psyched? Us, too! 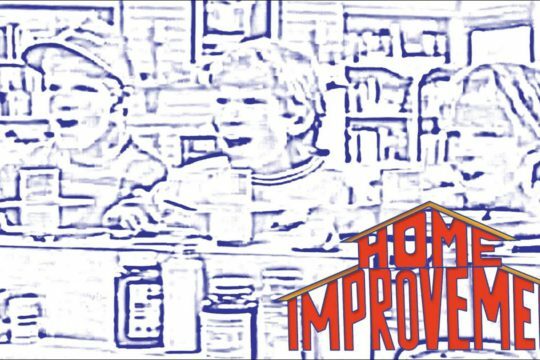 Here s a sneak synopsis: In this Disney comedy, Jon plays an eight-year old who’s not too thrilled with his mom’s new boyfriend, Nick (Chevy Chase). Nick is a federal prosecutor who’s unprepared for stepfatherhood. 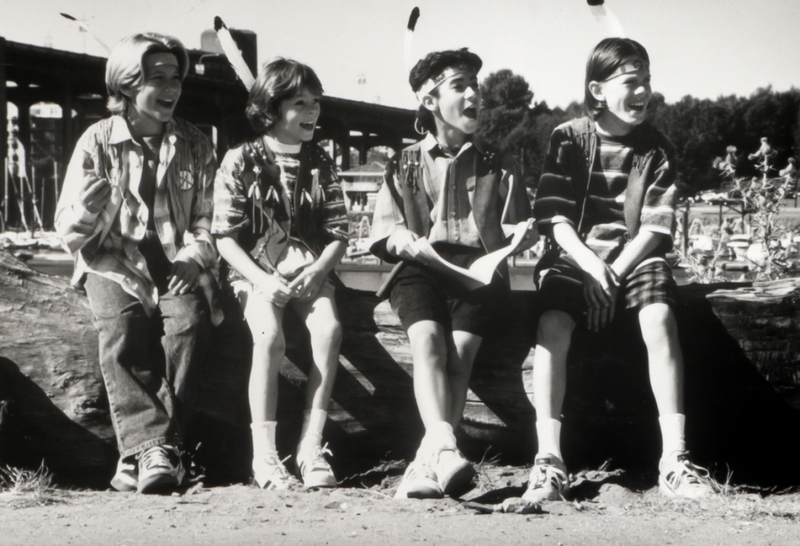 The boy forces him to join the YMCA’s Indian Guides program and participate in all types of Indian rituals and games. The whole scheme seems to be working – until some bad guys come to start trouble with Nick. Ultimately the Guides take on the mob and use their superior wilderness warfare tactics to beat ‘em! In the process, Nick and his soon-to-be son develop a bond of friendship, respect, and love! Jon is too cute to be true in this flick! 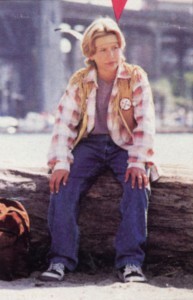 It’s a definite must-see for all you JTT fans! Check out these exclusive pix! Write Jon The Right Way! 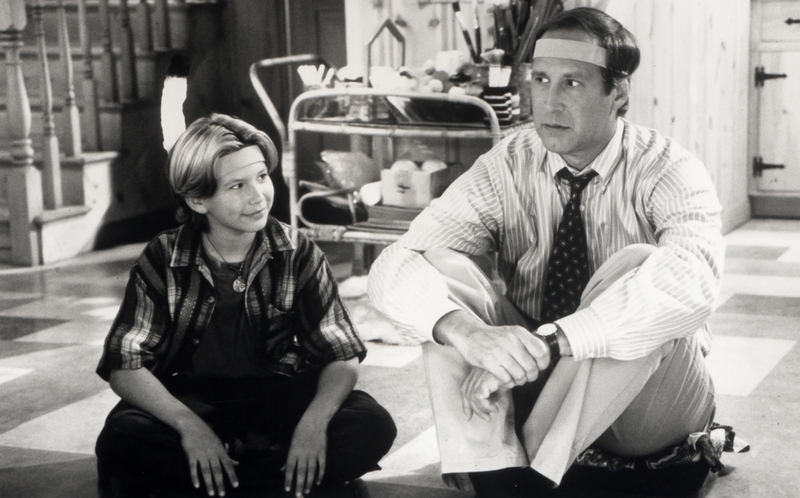 Want to write a letter to Jonathan Taylor Thomas that he’s sure to read? Take notes, ‘cuz we’ re about to tell you how — in five simple steps! 1. Neat, Short & Sweet! 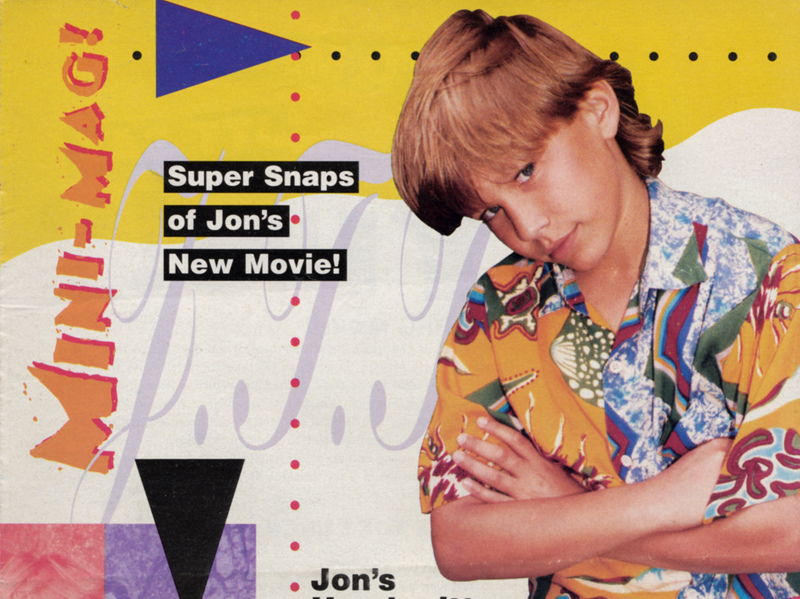 Jonathan Taylor Thomas with letters – Tutti Frutti magazine scan 1995. 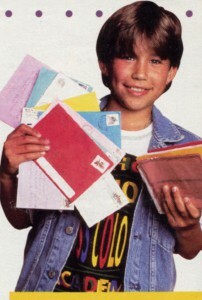 JTT promises that he tries to read every piece of mail that he receives. You want to be sure that by the time he gets to yours, it’ll be a pleasant and harmless experience for him, right? And, you also hope that he would write back, right! Okay, now chat we have that settled, here’s the deal. Since the guy has to read tons and cons of letters, be considerate and keep yours short and to the point. Plus, if it’s not too long, it’ll be easy for him to remember the things you said! Remember: It’s quality, not quantity. In addition (and this is very important! ), write very, very neatly. By doing that. it’ll be a cinch to recopy your address when he wants to write back! So, here’s your chance. 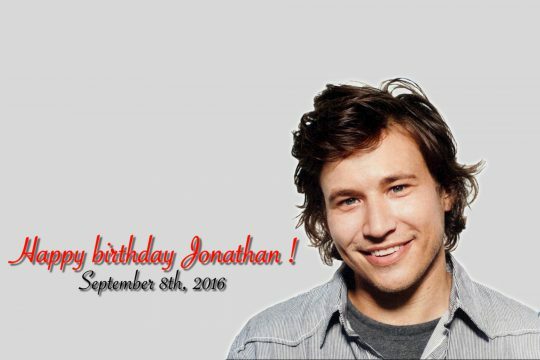 Jon is your absolute favorite star in the whole wide world! You want to write something that will either stick in his mind, make him want to answer, or at least make him smile! him 150 times, write about where you live. your family. and your school! “I like learning if they’ re from different parts of the country. Things like what they do for fun and how their schools are differ­ent.” explained Jonathan. 3. Large And In Charge! Rather than stick your note in the standard white envelope, go huge! Get a really big envelope or a box co send it in! Even if the letter is small, so what? At least the packaging will get his atten­tion first! 4. The Brighter, The Better! attract his eye, of course! So, while you’ re deciding what big packaging you’ll be sending your note in, make sure it’s colorful and bright! Go crazy with magic markers and paints decorating the out­ side. Also, when making your master­ piece, keep in mind that Jon’s favorite colors are blue and green!